Your graduate work was on bacterial evolution, but now you’re lecturing to 200 freshmen on primate social life. You’ve taught Kant for twenty years, but now you’re team-teaching a new course on “Ethics and the Internet.” The personality theorist retired and wasn’t replaced, so now you, the neuroscientist, have to teach the “Sexual Identity” course. Everyone in academia knows it and no one likes to admit it: faculty often have to teach courses in areas they don’t know very well. The challenges are even greater when students don’t share your cultural background, lifestyle, or assumptions about how to behave in a classroom. 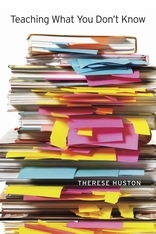 In this practical and funny book, an experienced teaching consultant offers many creative strategies for dealing with typical problems. How can you prepare most efficiently for a new course in a new area? How do you look credible? And what do you do when you don’t have a clue how to answer a question? 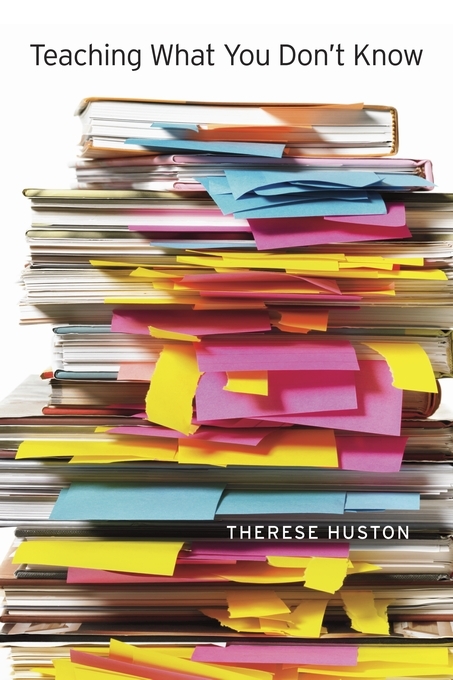 Encouraging faculty to think of themselves as learners rather than as experts, Therese Huston points out that authority in the classroom doesn’t come only, or even mostly, from perfect knowledge. She offers tips for introducing new topics in a lively style, for gauging students’ understanding, for reaching unresponsive students, for maintaining discussions when they seem to stop dead, and—yes—for dealing with those impossible questions. Original, useful, and hopeful, this book reminds you that teaching what you don’t know, to students whom you may not understand, is not just a job. It’s an adventure.